Curry began her broadcasting career in 1978 as an intern at then NBC-affiliate (now CBS-affiliate) KTVL in Medford Oregon. 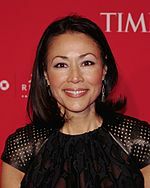 In June 2012 Ann Curry became the National and International Correspondent/Anchor for NBC News and the Anchor at Large for the Today show. She was also the anchor of Dateline NBC from 2005 to 2011.